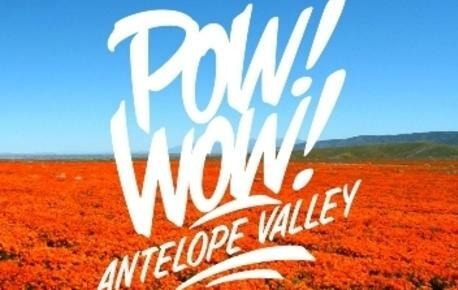 As part of MOAH's Made in America exhibition, Lancaster will take part in a growing series of global events called POW!WOW! As the founder, Jasper Wong describes it, POW! is the impact art has on a person and WOW! is the reaction that art has on a viewer. He adds, together they form POW WOW, which is a Native American term that describes a gathering that celebrates culture, music, and art. This even began in Hawaii and has grown into a global network of artists, gallery shows, lecture series, schools for arts and music, mural projects, concerts and live art installations across the globe. POW!WOW! 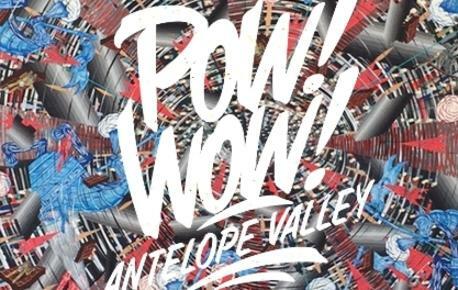 Antelope Valley will revolve around a series of murals, artist talks and engagment events. Mural artists include: Amandalynn, Andrew Schoultz, David Flores, Bumblebeelovesyou, Hueman, Julies Eastman, Kris Holladay, Mando Marie, Mark Dean Veca, Meggs and Michael Jones. VIP Sponsor/Artist Event Friday, August 12, 6-9pm. Tickets $45 per person. Public reception Saturday, August 13, 4-6pm. Block Party Saturday, August 13, 4pm. Come watch public art going up! The Official Mural Map can be found here.